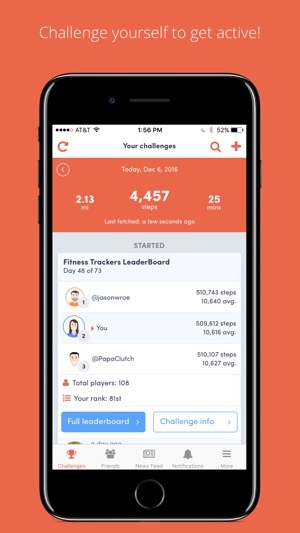 Challenge your friends and motivate yourself with Stridekick’s fun fitness tracker challenges. Fitness should be fun! With cross-device compatibility, everyone can play! 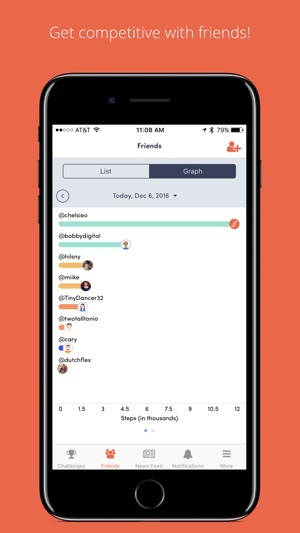 See how you compare with friends on daily, weekly, and overall steps. 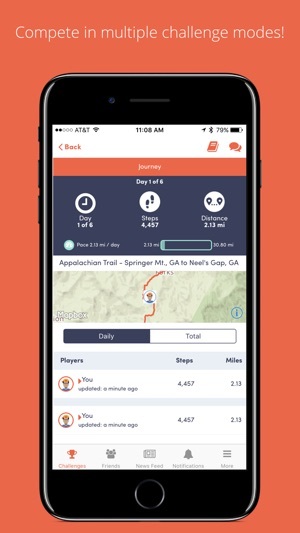 Stridekick offers cross device compatibility by fetching your step and distance data from your Fitbit, Jawbone, Health App on your iPhone 5s or newer, Withings, Garmin, Google Fit, or Misfit, so that you can participate in activity challenges together, no matter the device. Challenge yourself by creating a fun step challenge with your own goal or invite friends and coworkers to join and motivate you. Don’t want to create your own challenge? 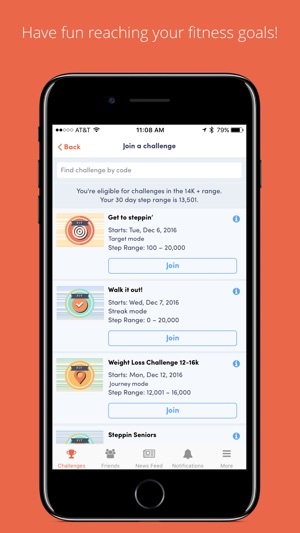 Join a community challenge to earn badges for achieving your goals. Discover fitness, nutrition, and wellness tips and tricks. Be inspired to develop new healthy habits. Stridekick’s community of experts are here to guide and motivate you to become your happiest, healthiest self. Don’t settle for the charts and reports produced by your fitness tracker’s software. 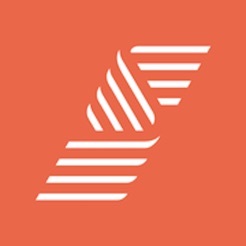 Get more from your fitness data with Stridekick’s Insights! Dig deeper into your data to discover your activity trends and patterns so you can always be at the top of your game. With Insights you have the power to make your weak days stronger and your best days even better. Get competitive or achieve goals together with Stridekick’s variety of challenge modes. Get to the top with a Leaderboard Challenge, hit your stride with a Streak Challenge, go the distance to hit your goal by the end of a Target Challenge or travel trails from around the world with a Journey Challenge. Having troubles? Got a question or suggestion for us? Reach out to us! I created a challenge and sent invites to friends. Some were able to join easily, and some couldn’t figure it out. The interface looks slick, but it’s overall pretty clunky with so many buttons going in different directions. 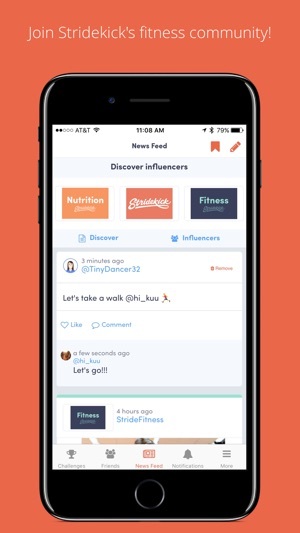 Feels like step-tracking is just a subfunction of the app (too much emphasis on sharing, social media, messaging, etc). I selected the option to be able to manually enter steps, but I haven’t been able to figure out how to actually do that (been using the app for 3 solid days now). No idea what the difference is between selecting “Apple Health” and “iPhone” as the fitness device. My friends and I wanted to like this, but we’re already looking for an alternative. I created a team of organ and tissue transplant recipients and supporters or organ donation to participate in the World Transplant Games Billion Step Challenge. The App is easy and fun to use. Me and my team are having a lot of fun competing with each other and against teams from all over the world. Plus we are doing something that is good for our health and transplants! We are all motivated to walk and run more - thanks StrideKick for the great App and WTGF for this cool challenge! It was easy to download and get started. Installing and authorizing Stridekick to pull data from my Garmin app and tracker was painless. Creating a steps challenge was only a few clicks and getting others to join in was easy enough! 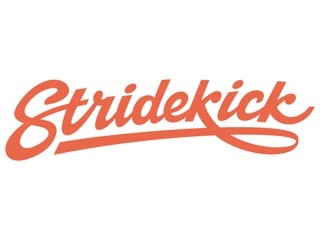 Stridekick really helps me stay focused on my walking and adds a little competition amongst family and friends.